A blonde decided he was sick and tired of all the blonde jokes and how all blondes are perceived as stupid, so he decided to show his wife that blondes really are smart. While his wife was at work, he decided to paint a couple of rooms in the house. The wife arrived home that evening to the distinctive smell of paint. She walked into the living room and found her husband looking hot and bothered. She asked what he was doing. He replied that se wanted to prove to her that not all blonde men are dumb by painting the house. She then asked her why he was wearing an oilskin and a ski jacket. Women play a crucial role in farming operations, Eloise Neeley [Otago Federated farmers junior vice-president] says. They were often overlooked yet they made a very valuable contribution, Mrs Neeley said, describing them as “half the farming equation”. Frequently, their work was behind the scenes, either in administration or organising what was happening on the farm, and they were also “bringing up future farmers”, she said. . .
Richard Strowger [North Otago Federated Farmers president] wants to see farmers get a “fair deal”. Although New Zealand had a population of four million, there were just 45,000 farmers who produced “the wealth of the country” and Mr Strowger wanted to represent the farming community to help “give them a fair shot”. He has been a longtime member of the farmer lobby group, saying it was the voice for farmers and he was pleased to see membership growing. . .
BusinessNZ and Landcare Research have partnered with the producer of the world’s most widely used sustainability reporting framework, the Global Reporting Initiative (GRI), to provide an accurate and complete sustainability reports database for New Zealand. BusinessNZ chief executive Phil O’Reilly said consumers are becoming increasingly aware of the environmental impact of products and services. “Businesses providing transparent and comparable reporting on how they manage their economic, environmental, social and governance impacts is a valuable way for them to respond to consumers’ concerns and demonstrate their commitment to sustainable development.” . . .
It’s all about teamwork for New Zealand ewe hogget competition winners Phill Hunt and Lizzie Carruthers. Ms Carruthers does the stock work on Fork Farm at Maungawera, near Wanaka, while her husband looks after the maintenance, tractor work and book work. They give each other a hand when required – “not book work, though”, Ms Carruthers quickly quipped. . .
A TINY creature that plays a major role in the production of $5 billion worth of primary exports was recently celebrated by way of ‘Bee Week’. The bee makes its greatest contribution by pollinating crops, but New Zealand also exports $100m-worth of honey products. Daniel Poole, of the National Bee Keepers Association, says for many years bees have flown underneath the radar with people failing to recognise their value. He says this is now changing and people are starting to appreciate just how important bees are. . . Since 2000, Varroa has seen the loss of at least 200,000 bee colonies. Federated Farmers believes it doesn’t matter what hat farmers wear; sheep, kiwifruit, mohair or dairy, all farmers are on the bee team, which is actually, New Zealand’s A team. “Last week, Bee Week celebrated the honey bee and the massive contribution it makes to our economy and farm system,” says John Hartnell, Federated Farmers Bees spokesperson. “While our direct income as an industry sits at around $100 million, modest in the much larger agricultural scheme of things, bees enable almost all sectors except fisheries and forestry. . . The theme for this year’s High Country Conference is “Sensible Solutions”. This could be viewed by some as being a bit optimistic. After all, this sector has been seeking sensible solutions for nearly 70 years and has found it an uphill struggle, particularly when faced with bureaucratic reticence and political ideology. However, I believe we have seen more forward progress in the past 12 months in a variety of issues, than has been evident for many years. There is still much work to be done on a number of matters, but the fact that many people are constructively involved in that work is a positive sign . . .
Research has provided evidence to show that mowing californian thistle in the rain really does help get rid of the weed. It will come as no surprise to many farmers, but there is now evidence that mowing pasture in the rain helps to reduce the abundance of Cirsium arvense. It is the most destructive pastoral weed in New Zealand. Research has provided quantitative evidence that mowing in the rain really works, as well as uncovering a potential biological basis for the effect. . . Dairy Holdings shareholder and director Colin Armer and his wife Dale have filed a High Court claim against their fellow shareholders, including South Canterbury Finance (SCF) receivers and government representatives Kerryn Downey and William Black of McGrathNicol. They allege the receivers efforts to sell the company breach a shareholders’ agreement and that attempts to force the Armers out have stooped to blackmail. . .
A third official investigation could be imminent into how dairy giant Fonterra sets the price of milk for New Zealand after the chairman of Parliament’s commerce select committee said an explanation by government officials left her with more questions than answers. Competition watchdog the Commerce Commission is due to report any day on whether a full price control inquiry into retail milk is warranted after official complaints, including an allegation from the processing industry that Fonterra is artificially inflating the price of milk. . .
An Auckland firm has rolled out an ingenious use for the byproducts of an unlikely combination; sheep and coffee. Woolgro mixes dag wool – which is often exported for low grade products – and jute fibre from used coffee sacks to create a seed-infused mat to be rolled out over ground ready for a lawn. Geoff Luke is a co-founder and director with a background in residential architecture and had struggled with different methods of laying lawns. “The beauty of the mat is that it does create the perfect germination environment for the seed,” he said. . .
Angel investors’ $500,000 aims to boost sales of dairy-based health products. The word mastitis can strike fear into the heart of even the staunchest dairy farmer. The painful udder infection is the most common disease in dairy cows and can have a huge impact on milk production. Antibiotics are the most common treatment, but using them means the cow must be isolated, sometimes for weeks, and the milk thrown away. . . When Paul Livingstone opened the letter with the New Zealand Government seal on it he couldn’t believe his eyes. “I had to check the envelope to see if it had my name on it,” the Animal Health Board expert in tuberculosis in possums says. But it had entered the heads of many other people. Farming, ministry and veterinary leaders in New Zealand and overseas wrote in to back the recommendation of the award and Dr Livingstone’s name was included in the weekend’s Queen’s Birthday honours . . . The region has already lost 97 per cent of its wetlands, and 75 per cent of its forest cover. JILL GALLOWAY talked to He Tini Awa trustees about how they are helping to change the balance a bit. The project we visit is an eight-hectare wetland near Pohangina village. It is owned by Gordon and Anne Pilone and is home to dabchicks, mallards and paradise ducks – and lots of pukeko. . .
New Zealander bidding to double the size of his Australian-based broiler chicken business was back in familiar territory last week. This interview with Max Bryant, executive director of ProTen, was conducted in what was his former office in the Agribusiness Centre in Weld St, Feilding, these days occupied by NZX Agri editorial manager Tony Leggett. Bryant was a sheep and beef farmer on a 120ha property at Halcombe when in 1982 he “virtually went broke” from a failed kiwifruit venture in which he had invested. . .
Merino growers have a watershed opportunity to take ownership of their marketing business from the sale of PGG Wrightson’s 50 per cent shareholding of New Zealand Merino (NZM) to Merino Grower Investments Limited (MGIL), NZM director Ross Ivey says. The sale of the shareholding valued at $7.625 million, is subject to approval by MGIL’s 630 grower shareholders who own 50 per cent of NZM. Mr Ivey, who farms merinos at Glentanner Station near Aoraki Mt Cook, said he would be very surprised if MGIL’s shareholders rejected the proposal. . . The New Zealand bee industry is in good heart and in good health, but there are challenges ahead, according to an industry representative. Although varroa was widespread throughout the country, diseases such as European foulbrood, small hive beetle and Israel acute paralysis virus were present in Australia, but have not yet been found in New Zealand, National Beekeepers Association (NBA) joint chief executive Daniel Paul said. “That’s one of the reasons why we don’t want Australian honey imports, because they have the potential to bring in threats that could potentially undermine the health of the industry.” . . . The Green Party campaigns vigorously against cow pooh pollution but in opposing legislation against freedom dumping they’re sanctioning human pooh pollution. The Green Party’s opposition to the Freedom Camping Bill shows it puts people camping where they like ahead of responsibility to our environment, Environment Minister Nick Smith and Conservation Minister Kate Wilkinson say. The Bill passed its First Reading in Parliament yesterday with only the Green Party and former Conservation Minister Chris Carter opposing it. “I am particularly disappointed the Green Party voted against the Bill. They are being hypocritical in demanding stronger action against polluting farmers but turning a blind eye to the increasing problems in our most sensitive areas caused by irresponsible freedom campers. They cannot pretend to be the defenders of New Zealand’s clean green brand when they put more weight on camping freely than the responsibility to do so without polluting,” Dr Smith said. Ms Wilkinson says it’s baffling that the Green Party is happy for some of our most pristine and popular countryside to be treated as a toilet or dumping ground. “Freedom camping will always remain part of the Kiwi holiday culture but it’s important that we can better prevent the appalling behaviour of the minority so everyone else can enjoy their holiday. The legislation isn’t aimed at people who get caught short between loos. It’s designed to counter the growing problem of people camping where they will and dumping their rubbish and faeces there. It is a problem not confined to rural areas. People in Te Anau and Wanaka have reported finding human waste on the grass verges of town streets. People travelling in vehicles with self-contained loos will still be free to camp almost anywhere. Those without self-contained vehicles will have to stop where there are loos. I can’t understand why anyone would oppose that, let alone the party that works so hard to counter other forms of pollution. Reinhard Burger, the president of the Robert Koch Institute, which is responsible for disease control and prevention in Germany, said there was enough evidence to draw the conclusion even though no sprouts from an organic farm in Lower Saxony had tested positive for the E coli strain. The sprouts were initially blamed for the outbreak on Sunday, but authorities backpedalled the following day after negative laboratory tests. The breakthrough in the investigation came when a taskforce linked patients who had fallen ill to 26 restaurants and cafeterias that had received produce from the organic farm. That the farm was organic isn’t necessarily relevant. Officials said it was possible that other nearby farms could be affected because it had not yet been established whether the seeds or the farm’s water had been contaminated. Finding the source of the infection has cleared other producers and products but it is not the end of the saga. Twenty nine people have died, many more became seriously ill, some still are. The outbreak has also had a severe economic impact as crops were dumped and consumers spurned fresh produce. It is a reminder that in New Zealand where we rely so heavily on our reputation for safe food we can not be too careful at all stages from producer to consumer. 1184 BC – Trojan War: Troy was sacked and burned, according to calculations by Eratosthenes. 631 Emperor Taizong of Tang, the Emperor of China, sent envoys to the Xueyantuo bearing gold and silk in order to seek the release of enslaved Chinese prisoners captured during the transition from Sui to Tang from the northern frontier; – 80,000 Chinese men and women were returned to China. 758 Abbasid Arabs and Uyghur Turks arrived simultaneously at Chang’an, the Tang Chinese capital, in order to offer tribute to the imperial court. They quarrelled over diplomatic prominence at the gate and a settlement was reached when both are allowed to enter at the same time, but through two different gates to the palace. 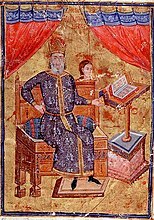 1345 The megas doux Alexios Apokaukos, chief minister of the Byzantine Empire, was lynched by political prisoners. 1429 Hundred Years’ War: The start of the Battle of Jargeau. 1509 Henry VIII married Catherine of Aragon. 1594 Philip II recognised the rights and privileges of the local nobles and chieftains in the Philippines, which paved way to the creation of the Principalía (i.e., elite ruling class of native nobility in Spanish Philippines). 1776 The Continental Congress appointed Thomas Jefferson, John Adams, Benjamin Franklin, Roger Sherman, and Robert R. Livingston to the Committee of Five to draft a declaration of independence. 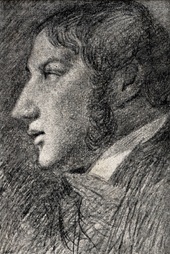 1776 John Constable, English painter, was born (d. 1837). 1788 Russian explorer Gerasim Izmailov reached Alaska. 1805 A fire consumes large portions of Detroit. 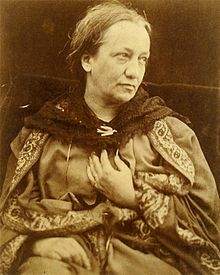 1815 Julia Margaret Cameron, English photographer was born (d. 1879). 1825 The first cornerstone was laid for Fort Hamilton in New York City. 1837 The Broad Street Riot in Boston, fuelled by ethnic tensions between Yankees and Irish. 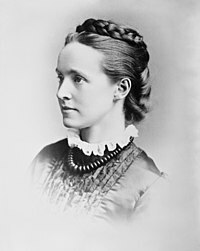 1847 Millicent Fawcett, British suffragist and feminist, was born (d. 1929). 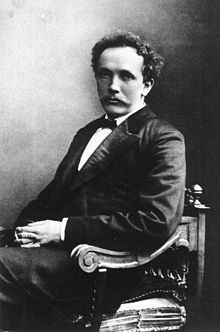 1864 Richard Strauss, German composer and conductor (d. 1949). 1866 The Allahabad High Court (then Agra High Court) iwa established in India. 1877 Renee Vivien, English-born poet, was born (d. 1909). 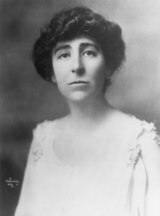 1880 Jeannette Rankin, American politician, feminist, and pacifist, was born (d. 1973). 1892 The Limelight Department, one of the world’s first film studios, was officially established in Melbourne. 1898 Spanish-American War: U.S. war ships set sail for Cuba. 1898 The Hundred Days’ Reform was started by Guangxu Emperor in hope of changing social, political and educational institutions in China. 1901 New Zealand annexed the Cook Islands. 1901 Cornwall Park was gifted to Auckland at a civic reception for the Duke and Duchess of Cornwall and York, when Mayor John Logan Campbell handed over the deed to land below One Tree Hill. 1907 George Dennett, aided by Gilbert Jessop, dismissed Northamptonshire for 12 runs, the lowest total in first-class cricket. 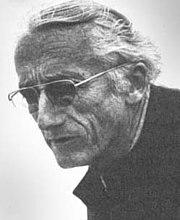 1910 Jacques-Yves Cousteau, French explorer and inventor, was born (d. 1997). 1917 King Alexander assumed the throne of Greece after his father Constantine I abdicated under pressure by allied armies occupying Athens. 1919 Sir Barton won the Belmont Stakes, becoming the first horse to win the Triple Crown. 1920 During the U.S. Republican National Convention in Chicago, U.S. party leaders gathered in a room at the Blackstone Hotel to come to a consensus on their candidate for the U.S. presidential election, leading the Associated Press to first coin the political phrase “smoke-filled room“. 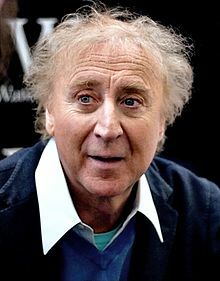 1933 Gene Wilder, American actor, was born. 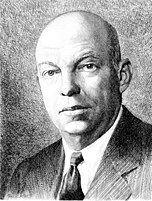 1935 Inventor Edwin Armstrong gave the first public demonstration of FM broadcasting in the United States. 1936 Jud Strunk, American musician and comedian, was born (d. 1981). 1936 The International Surrealist Exhibition opened in London. 1937 Great Purge: The Soviet Union executed eight army leaders. 1938 Second Sino-Japanese War: The Battle of Wuhan started. 1938 – Second Sino-Japanese War: The Nationalist government created the 1938 Yellow River flood to halt Japanese forces. 500,000 to 900,000 civilians were killed. 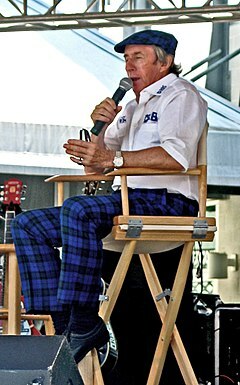 1939 Sir Jackie Stewart, Scottish race car driver, three-time F1 world champion and former F1 team principal, was born. 1940 – World War II: First attack of the Italian Air force on the island of Malta. 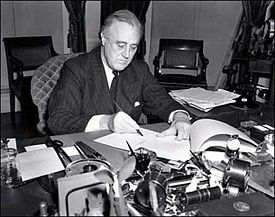 1942 World War II: The United States agreed to send Lend-Lease aid to the Soviet Union. 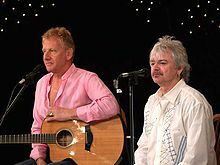 1950 Graham Russell, British guitarist and vocalist (Air Supply), was born. 1955 Eighty-three were killed and at least 100 injured after an Austin-Healey and a Mercedes-Benz collided at the 24 Hours of Le Mans. 1956 Start of Gal Oya riots, the first reported ethnic riots that targeted minority Sri Lankan Tamils in the Eastern Province. 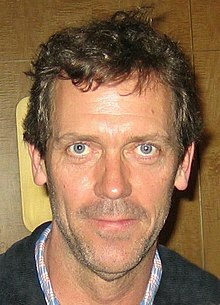 1959 Hugh Laurie, English actor and comedian, was born. 1962 Frank Morris, John Anglin and Clarence Anglin became the only prisoners to escape from the prison on Alcatraz Island. 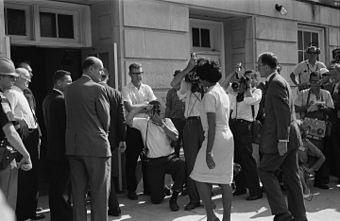 1963 American Civil Rights Movement: Alabama Governor George Wallace stood at the door of Foster Auditorium at the University of Alabama in an attempt to block two black students, Vivian Malone and James Hood, from attending that school. Later in the day, accompanied by federalized National Guard troops, they were able to register. 1963 Buddhist monk Thich Quang Duc burned himself with gasoline in a busy Saigon intersection to protest the lack of religious freedom in South Vietnam. 1964 Walter Seifert ran amok in an elementary school in Cologne killing at least eight children and two teachers and seriously injuring several more with a home-made flamethrower and a lance. 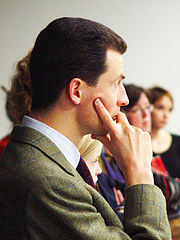 1968 Prince Alois of Liechtenstein, Hereditary Prince of Liechtenstein, was born. 1972 Eltham Well Hall rail crash, caused by an intoxicated train driver, killed six people and injured 126. 1978 Altaf Hussain founded the students’ political movement All Pakistan Muhajir Students Organisation (a.k.a APMSO) in Karachi University. 1981 A 6.9 magnitude earthquake at Golbaf, Iran, killed at least 2,000. 1998 Compaq Computer paid $9 billion for Digital Equipment Corporation. 2001 Timothy McVeigh was executed for his role in the Oklahoma City bombing. 2002 Antonio Meucci was acknowledged as the first inventor of the telephone by the United States Congress. 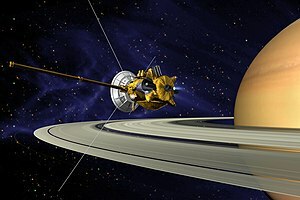 2004 Cassini-Huygens made its closest flyby of Phoebe. 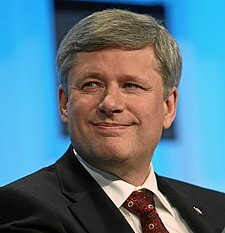 2008 Canadian Prime Minister Stephen Harper made an official apology to Canada’s First Nations in regard to a residential school abuse in which children are isolated from their homes, families and cultures for a century. You are currently browsing the Homepaddock blog archives for the day Saturday, June 11th, 2011.